Directly controlled by the operating fluid the DHV is used in all technical processes where a constant working and system pressure is required on the primary side and for avoiding any undesired pressure increase. 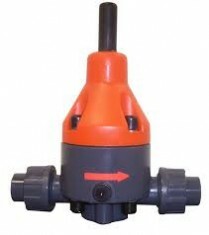 The DHV can also be used as overflow valve. For this purpose the DHV is to be mounted at the place where a T-piece is installed in the pipeline.